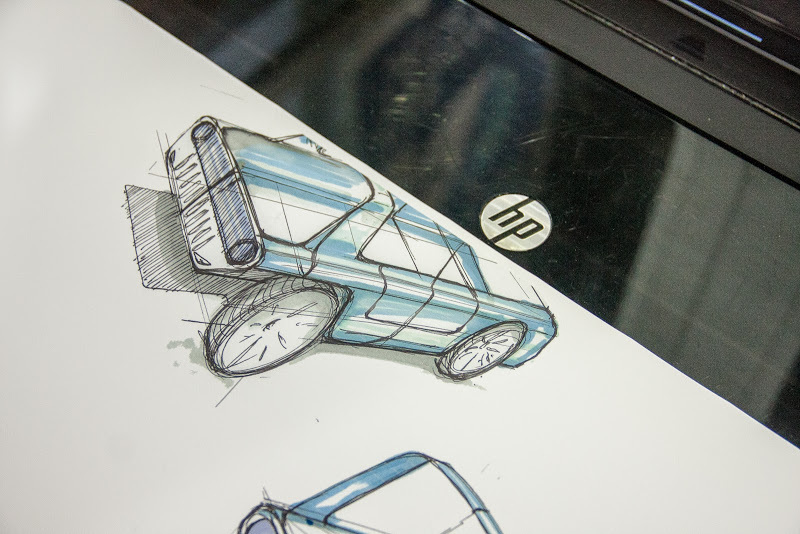 In collaboration with HP, OSVehicle and 5 FabLabs around the world (Garagem FabLab – SP. 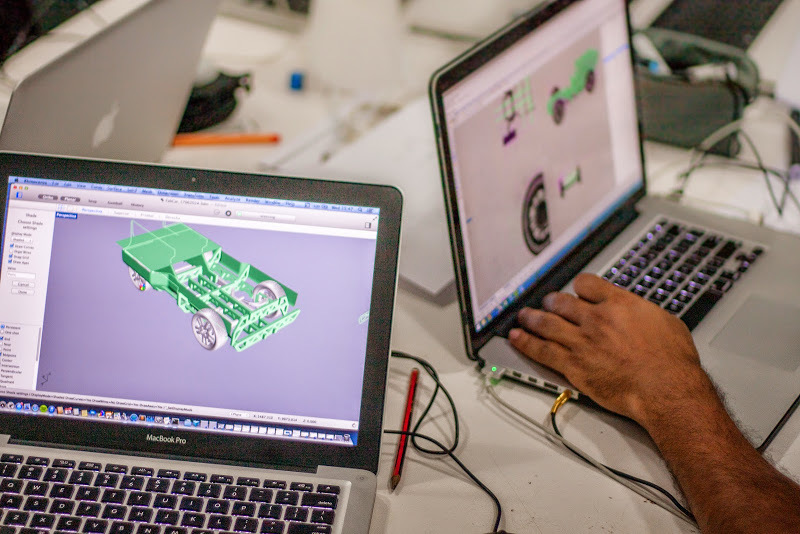 Brasil, FabLab San Diego, FabCafe Tokyo, FabLab Manchester, and Vigyam Ashram in India) along with FabLab Barcelona set out to design a concept car based on the needs and desires of the FabLab and Maker communities. 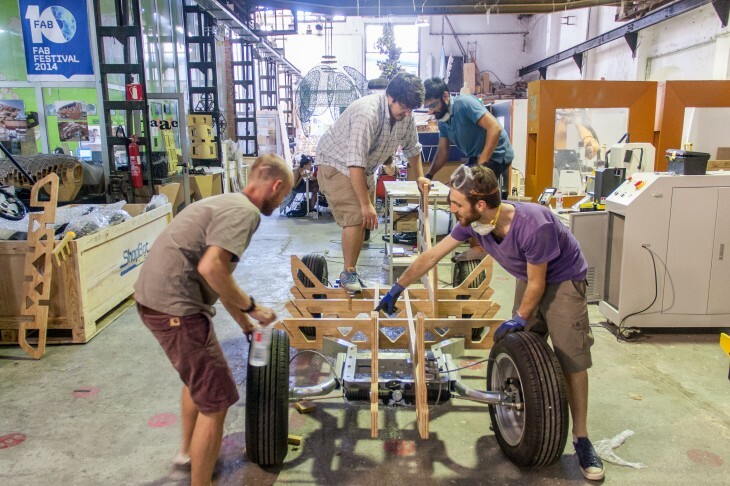 The “FabCar” was unveiled on July 2nd, 2014, during FAB10 at Barcelona’s Design Museum, DHUB. 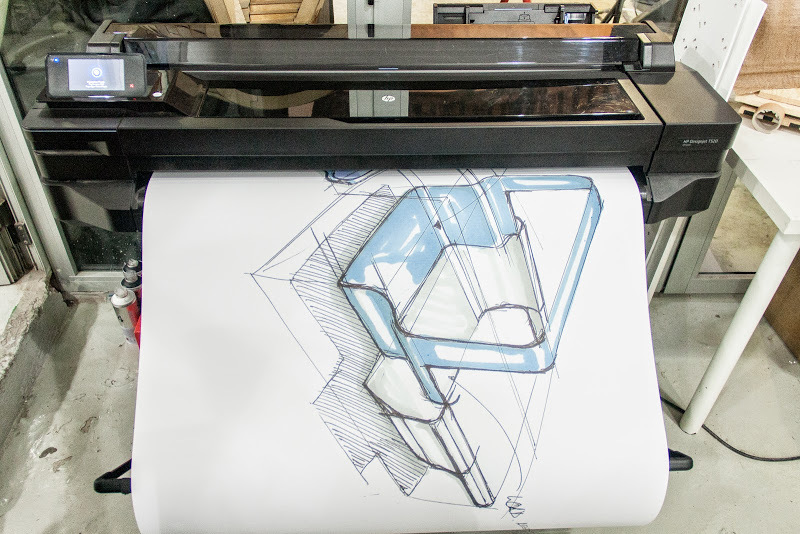 It is the first vehicle based on OSVehicle’s platform that can be built entirely in a FabLab. 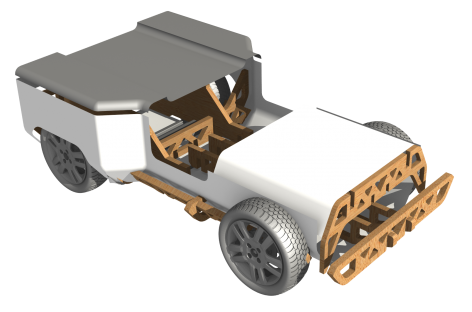 It is a single seat vehicle with a large trunk to store all the materials and tools for a maker. Built on the metal OSV platform, the upper body is designed to be made out of layered engineered wood. The very unique structure is then covered by resin and wooden panels. 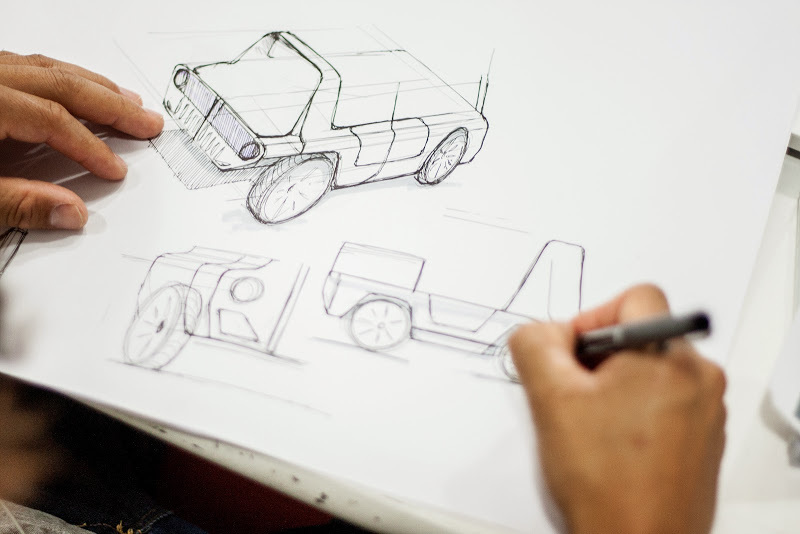 The power system is expected to be embedded in each wheel, with 4 motors overall. Photos by Thiago Kunz, read the full article on iaacblog.